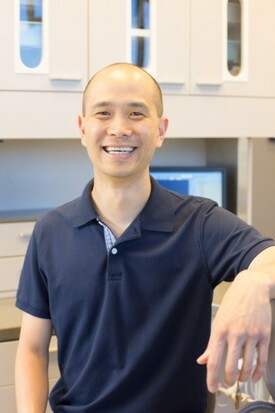 Dr. Chun has worked and trained extensively to build a practice that exceeds your expectations of trusted, personalized dental care. He consistently brings his patients only the best that modern dentistry has to offer, by keeping himself and his staff informed on the latest advances and available techniques. Dr. Chun earned his Doctor of Dental Surgery degree from Creighton University, where he graduated in 1998. Since then, he has kept up-to-date on the newest developments in his field through numerous continuing education courses, including those in cosmetic dentistry, endodontics, implants and pain management. He also remains active in the dental community as a member of the American Dental Association, Chicago Dental Society and the Illinois State Dental Society. Dr. Chun's top priorities are patient comfort and satisfaction. He and his staff look forward to your visit and to showing you the many ways in which the finest dental care can improve your life.